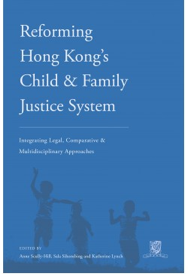 Book Description: This book presents a collection of papers from the 3rd Children’s Issues Forum held in Hong Kong in November 2015 focusing on reform of Hong Kong’s child and family justice system by integrating legal, comparative and multi-disciplinary approaches. Distinguished local and overseas jurists, legal practitioners and academics offer insights and perspectives on a range of issues affecting children, including: commentary on the proposed introduction of a new Children’s Ordinance in Hong Kong; the endemic problem of children living in poverty in Hong Kong; the exclusion and marginalization suffered by children in Hong Kong society; improving access to justice for Hong Kong children and allowing their voices to be heard; promoting the concept of parenting responsibilities in place of custody; reforming children’s dispute resolution procedures to establish more collaborative less adversarial process options; the important role of research in nurturing children and youth; and the need for increased multidisciplinary and inter-agency cooperation and collaboration in child and family justice systems. Comparative perspectives on child centric family justice reforms and policy developments are offered from leading jurists from Australia, Canada, Singapore, Israel, Macau and China.